PUBLISH AND PERISH/CORRUPT AND ENSNARE were the first two mysteries by Francis M. Nevins featuring the empathetic lawyer/scholar, Loren Mensing. 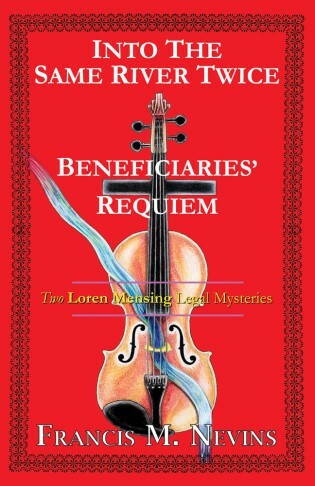 They were reprinted a couple of years ago by Ramble House and now we are proud to present the next two Loren Mensing mysteries, INTO THE SAME RIVER TWICE and BENEFICIARIES' REQUIEM, written in 1996 and 2000 respectively. Loren is older and wiser but the situations he finds himself in are not getting any easier to untangle.